I remember 10 years ago all we did was flood keywords in the meta tags and build many web pages that were similar to get high on search engines. It worked very well. Meta tags are HTML tags that help describe the document they are located within. Everything has changed in the past 10 years. Search engines not only look for meta tags, but they look at the content, backlinks and even the internal link structure. There are three primary tags to help search engines determine the relevance of a website for a particular search phrase. The Title Tag is the more important tag. It should describe what is contained in the document. It should contain keywords, but one thing you shouldn’t do is repeat the keywords over and over. Remember the Title Tag is the first thing that appears in a search result. You do not have to plaster the company name in the title tag. That is not going to help at all. 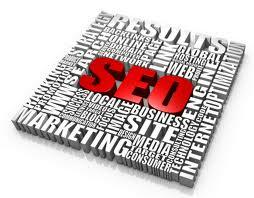 Stick with the relevant content on the website, this will help with search engine results. The Title Tag should not be bigger than 80 characters. Make the Title Tags throughout the site unique and relevant. Every word in the Title should be contained somewhere in the page they are used for. Research has also shown that a call to action will usually produce more clicks than a basic description.